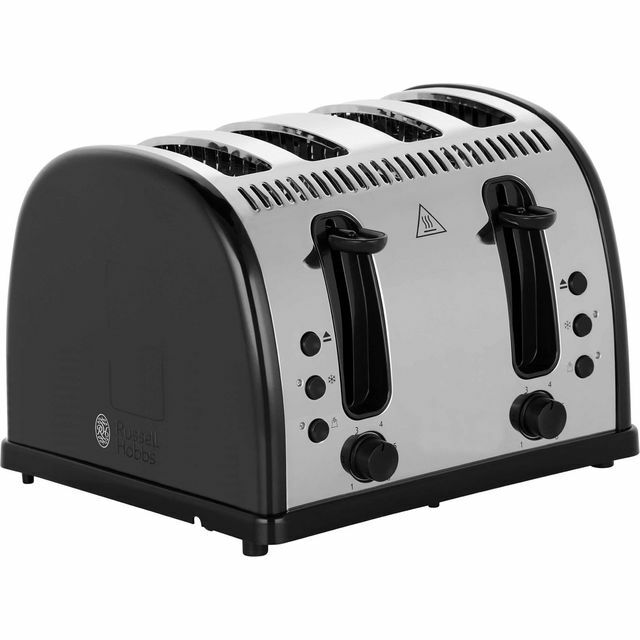 A stylish design and great features make this black Russell Hobbs 4-slice toaster a welcome addition to your worktop. Thanks to the handy reheat function, you’ll never have to worry if your breakfast pops up before you’re ready on those busy mornings. There’s also a useful defrost feature which lets you toast frozen portions of bread without needing to thaw them first. It has extra-wide slots as well, so there’s never a problem if you enjoy a thickly-cut slice. This model also has a removable crumb tray, so cleaning up is simple as well. Lovely finish, if you only toast one slice it's spring back once done is on the strong side. I've had a slice go flying down the counter. Great when toasting 2 slices. Fastest toaster I've had. Looks good with matching kettle that is disconcertingly quiet. 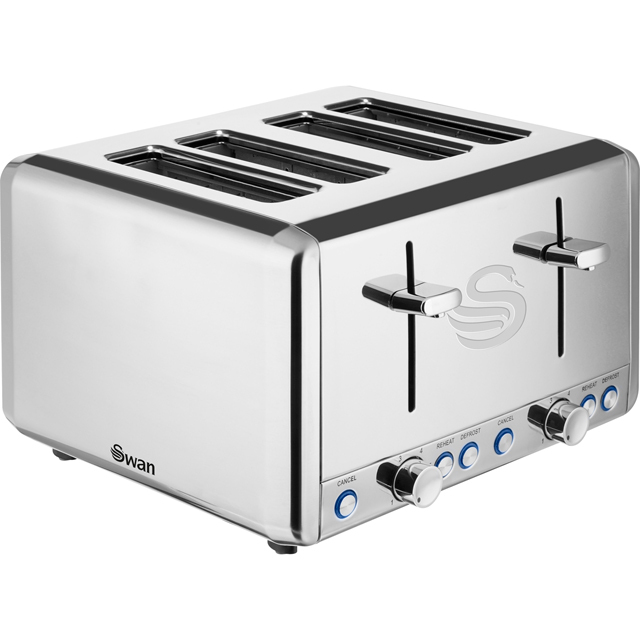 Wish I’d got a new toaster soon and this was great, also ordered on a Saturday and came next day (Sunday) free delivery, even better! My toaster used to take so long to toast but this one even on number 1 setting it toasts to a proper toast! great look, great performance, great price!! 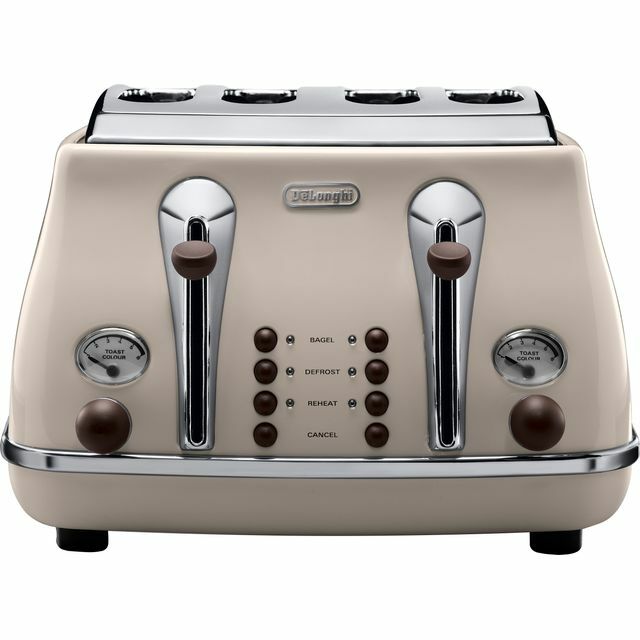 Love everything about this toaster. Have found nothing negative as yet and it was exactly what I was looking for. The size and shape are perfect as I didn’t want anything big and boxy looking like most are! It toasts very quickly and pops out so that you do not have to fish out with your fingers. All in all I would highly recommend this toaster. You will not be disappointed. 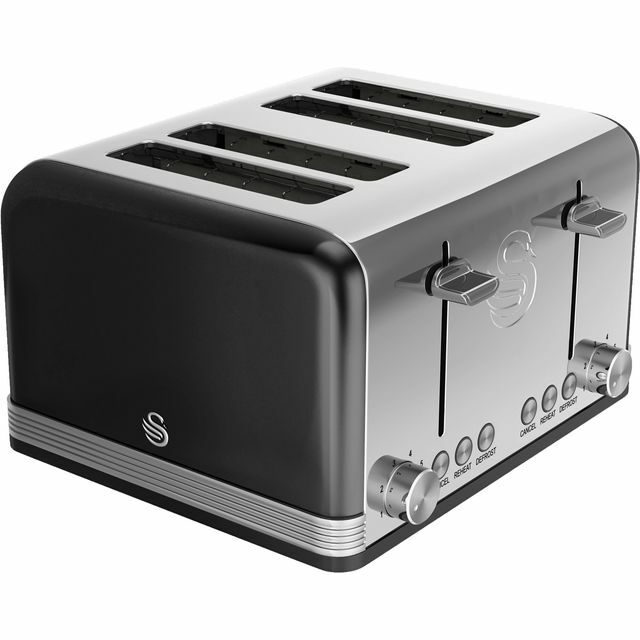 Smart looking and heats up quickly for great toast. 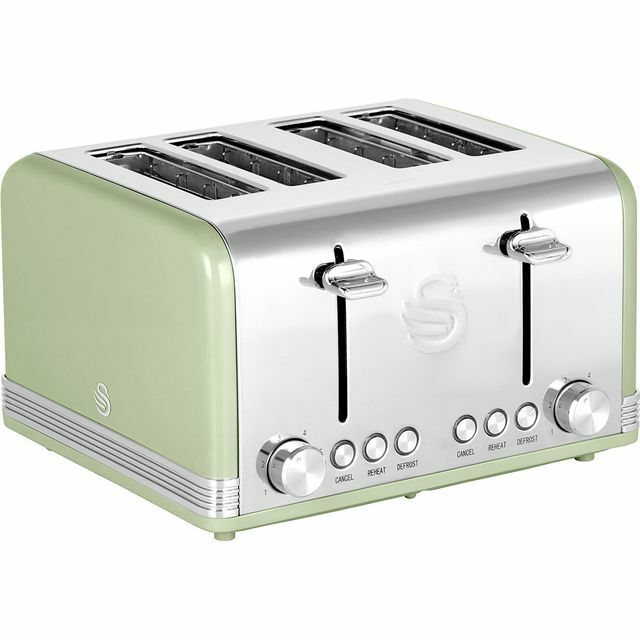 Great product for toasting thick or thin bread. Only downside is my bread is too tall to toast all in one go. Buy square bread. A service second to none. The product I purchased has / is living up to expectations but equally as important are the helpfull staff, from enquiry to delivery. They do exactly what it says on the tin and more besides, couldn't fault them. Keep up the good work.